Membership Committee Mission: Welcome the visitor, guide the friend, strengthen the member. The path to membership varies. Some may find an important connection to the community soon after first attending, while others may wait a year or more from their initial visit. Regardless of the pace, we encourage newcomers to attend services, ask questions, get to know the community, and participate in ways that are individually meaningful. In another word, explore! It could take time, but we hope you come to view FUUFHC as your spiritual home. As stated in our Bylaws, “A person is eligible for membership if he/she is at least 18 years of age, in sympathy with the Principles and Purposes of the UUA, is willing to abide by these Bylaws, has attended at least three services in the last 12 months, and has completed UU101, or the equivalent orientation to Unitarian Universalism and the Fellowship.” Following the fulfillment of these requirements, a person will sign the Membership Book in the presence of two executive board members. Being a member means that you are willing to commit time, energy, and financial support to forward our shared mission. We are a fully self-sustaining congregation so everyone chips-in! Members attend services, help our social justice efforts, volunteer on committees and in our religious exploration (RE) programs, join covenant groups, and pledge annually. Members also vote at congregational meetings on all matters about the fellowship. 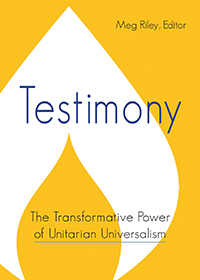 UU 101 – Take a deeper look at the UU faith tradition and the ins-and-outs of Fellowship life. What do UUs believe in common (and about what do we differ?). What are the top 5 ways in which a newcomer can get involved? How does one become a member (and why do so in the first place?). The discussion is always lively, thought-provoking and informative. Anyone wishing to become a member is required to attend these classes. For more information or if you have any questions about membership, contact membership@hunterdonuu.org.